Sherry Miller hopes her story will inspire state lawmakers to let parents get mental health treatment for their kids. Every time Sherry Miller tried to get her son into treatment, he refused. Miller wonders how things could have been different if he hadn't. Last year, Miller suspected her son was experiencing mental health issues beyond normal teenage rebellion. He was running away from home, threatening to hurt himself, even threatening to hurt her. In response, Miller says she did everything she could to help. Eventually, she called police to the home several times. At one point she took him to the hospital to try to get him involuntarily committed. But nothing worked. And because her son was older than 12, Miller couldn't force him to get mental health treatment if he didn't want to. "We were just stuck in this land of chaos and turmoil and trauma and heartbreak, and I just couldn't get him help," Miller says. It's a struggle many parents in Washington face. Once kids turn 13, teenagers have consent to seek mental health treatment on their own, without parental permission. But that also means they can refuse it even when parents are concerned for their child's safety. And parents like Miller say it's a barrier to accessing mental health treatment that kids may need. "There's this huge gap in the system right now, and it's destroying families," says Miller, who lives in Spokane Valley. Other parents have experienced tragedy after kids refused treatment. State Sen. Judy Warnick (R-Moses Lake) says the issue hit home for her last summer, when two kids in her community committed suicide. It's why she co-sponsored a bill this legislative session that would allow parents to initiate outpatient treatment for teen children. "This is such a small step — it really is — for parents to get help for their adolescents," Warnick says. Parents have been asking lawmakers for the right to initiate teenage mental health treatment for years. Rep. Noel Frame (D-Seattle) says the issue first came onto her radar in 2017. Then, a parent named Peggy Dolane, who ran into roadblocks when trying to get her children into behavioral health treatment, drew Frame's attention to the issue. "She was trying to change the age of consent and was not getting any traction," Frame recalls. "She was completely frustrated." Washington's age of consent for mental health was first crafted in a 1985, with the idea that it would allow kids to seek care on their own without parents knowing. Homeless or abused kids estranged from their parents benefit from this freedom. Across the country, state laws vary. In Oregon, the age of consent for mental health and substance use is 14. In Idaho, parents or guardians typically have control to admit children into treatment. Dolane received pushback from Democrats when she began advocating to change the age of consent. Democrats feel strongly that teens should have control over their own health care decisions overall, including in the context of reproductive health, Frame says. "When the solution was, 'change the age of consent,' there wasn't much of a conversation to have," Frame says. But when the approach focused more on allowing parents and kids to initiate treatment, there was more traction. It didn't have to be mutually exclusive. There is currently a "parent-initiated treatment" process already on the books, which does pave the way for a parent to involuntarily commit a kid to inpatient treatment. 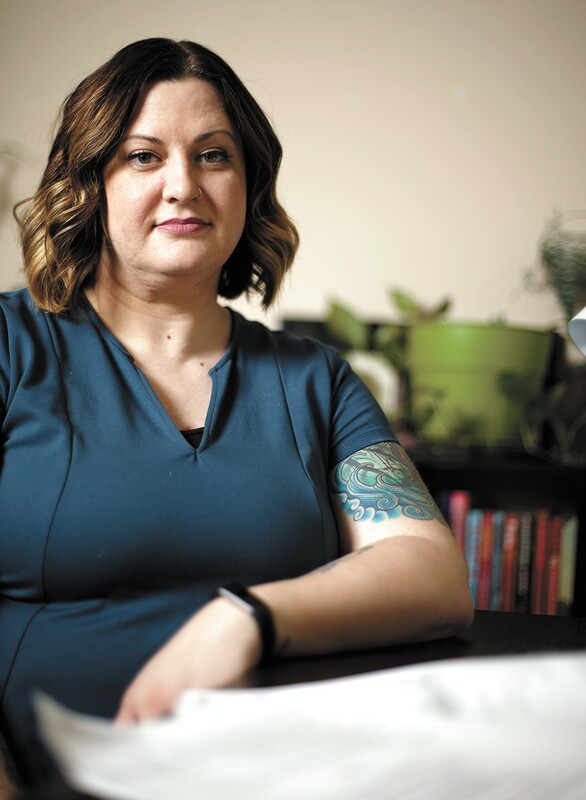 But providers have been less than enthusiastic in allowing it, and it doesn't include outpatient treatment. That law was put in place in 1998, but it was almost never used until 2011, when another law called for more transparency on the process from providers. "It had been in place for a while and everyone was really uncomfortable with it," says Kathy Brewer, a manager at Seattle Children's Hospital. "Everyone was saying, 'Gosh, are we really supposed to do this?'" Seattle Children's has embraced the parent-initiated process in recent years, but other providers in Washington have not. Miller, for example, says she got her son into a local hospital when her son threatened her, but they released him after less than 24 hours and without doing any kind of mental health exam. That kind of story remains common in Washington, Brewer says. "It's really perplexing when I still hear about other hospitals not accepting parent-initiated treatment," Brewer says. "There's really no reason they can't." With involuntary commitment and parent-initiated treatment being viable only in limited circumstances, there are little to no options for parents like Miller and Dolane. That's why Dolane started advocating for change. Since then, she's met hundreds of parents throughout the state with similar stories. Sometimes those stories end with kids taking their own life. "Suicidal children are so desperately wanting to leave this life that parents are unable to get them help," Dolane says. Last year, the state Legislature charged an advisory group with reviewing the parent-initiated treatment process and coming back with recommendations. The group met dozens of times in the last year, with stakeholders from all sides giving input. Youth advocates wanted to preserve the rights of children to prevent allowing parents from involuntarily forcing kids into treatment for things that have little to do with mental health. The group came up with a compromise: Keep the age of consent for mental health and drug treatment at 13 — meaning they can seek care without parental consent — but parents can also get outpatient treatment for those youth. "It's really threading the needle between giving kids the ability to still access care when parents are not supportive and giving parents access when they are trying to help their struggling children," Dolane says. Both Sen. Warnick and Rep. Frame introduced bills in their respective chambers that would change the law. Dolane feels optimistic. "We have a lot of legislators, Democrats and Republicans, all pulling in the same directions and willing to set aside bias and try to figure out what is in the best interest of our children and how to solve problems together," Dolane says. While both bills are still in committee, Frame says she thinks it can get through this year. Frame says, finally, all the stakeholders are on the same page. "I think we're in really great shape," Frame says. "I really do." If the state law were different, Miller doesn't know what would have changed with her son. She doesn't know if forcing him to go to counseling, which he had before he turned 13, would have helped. But at least it could have given her some answers, she says. "I don't know that they could have said definitively that this is going on," she says. "But at least I would know that box is checked." Brewer, with Seattle Children's Hospital, says it's still beneficial to have both a parent and minor on board for treatment. She has seen teens unmotivated to get better if they're forced into it. "I think it does create a challenge for a provider," Brewer says. "There [should] be a component of wanting to get better." The bills in the Legislature go a bit beyond allowing parents to initiate outpatient treatment. It also allows providers to disclose mental health information about a teen to a parent, but only in certain circumstances when providers believe that it won't be detrimental to the kid. And it protects providers from liability if information is disclosed. That's why Rep. Frame isn't worried that providers won't participate, like what happened with the original parent-initiated treatment process that passed in the '90s. "I'm not worried because we've addressed this specifically, we've left options in providers' hands," Frame says. Miller says she didn't know how hard it was to get kids mental health treatment until she dealt with it herself. Now, she hopes stories like hers can change it and let other parents know they're not alone. The original print version of this article was headlined "'Gap in the System'"